Dallas Window Film carries a full selection of RF/EMR blocking window films. If you live in Dallas and struggle with electromagnetic sensitivity or have concerns about the potential health risks of radiation exposure, radiation blocking window film may be a viable solution for your situation. Certain window films that we carry from Eastman have a proven ability to shield indoor environments from radio frequencies. 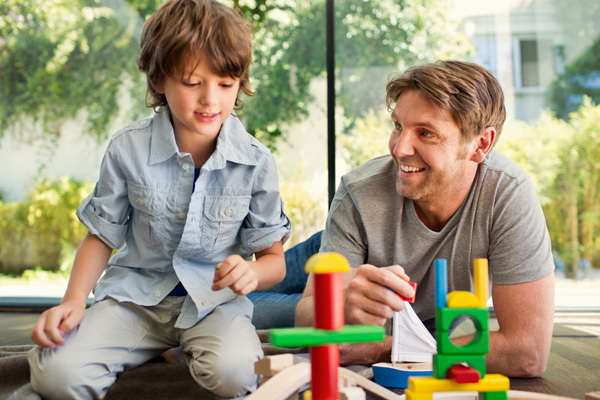 For some individuals and families, RF blocking film may improve indoor comfort and offer peace of mind. Curious about the effectiveness of RF blocking film? 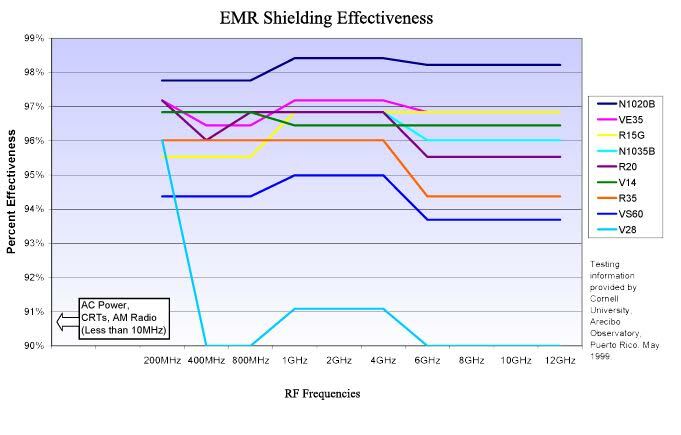 The data below shows test results from an experiment conducted on the EMR shielding effectiveness of Eastman films. The results found that some films have an effectiveness of up to 98%. EHS, also known as electromagnetic hypersensitivity, is a condition in which an individual experiences adverse effects when exposed to certain EMR frequencies. Some people report that they get headaches, feel tired, or have difficulty concentrating from EMFs. For individuals looking for a way to limit their contact with EMR, radiation blocking window film may be able to help. Today’s world is highly dependent on the use of electronic devices which emit radio and microwave frequencies. While there’s no current studies that indicate that EMR exposure may be bad for our health, some people still feel concerned about this issue. For those who tend to take a precautionary approach when it comes to their health, RF blocking window film may be an agreeable solution. If you have questions or concerns about RF blocking window film, please do not hesitate to contact our office. One of our product experts would be more than happy to speak to you about the RF blocking films we offer at Dallas Window Film.